Iraq Vs Iran- A classic derby, or is it? A West Asian derby in the quarter final stage was always on the cards when groups C & D were drawn in the Asian Cup, but which two teams were going to contest it was unknown. 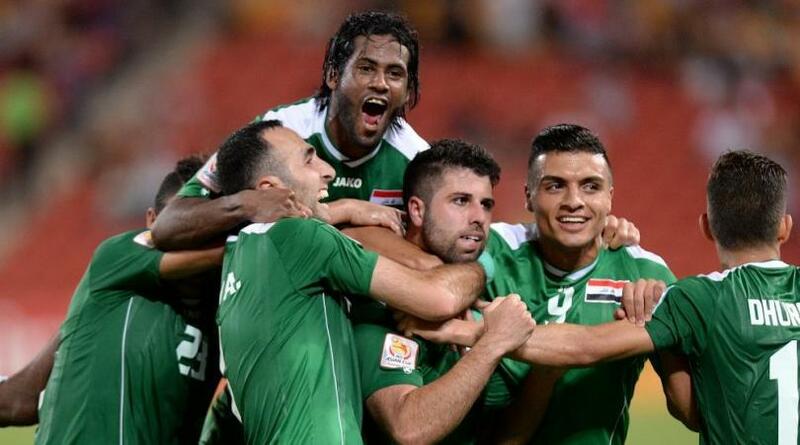 Possibly the most media friendly match up is now on the cards with Iraq taking on rivals Iran. It may not be the most glamorous West Asian derby, nor the one with the most prestigious history. In fact, the political backdrop is maybe the only thing that makes it anymore interesting than a match up against UAE or Qatar would for Iraq (and recently Iraq would have loved the chance to exact revenge on UAE). Similarly Iran against Saudi or Bahrain also has strong political connotations and many of their fans do not see this as a particularly exciting West Asian derby. The pair have met on 20 occasions, Iran have dominated the fixture winning 12 of those, while Iraq have won five games, with the other three drawn. This game is a replay of a pre tournament friendly which took place a few weeks ago in Walongong. Iran ran out winners in that one via Sardar Azmoun’s goal, with Mahmoud missing a “panenka” penalty against them. It was a largely tight game and it would be a pretty safe bet to expect much the same again. A low scoring encounter is on the cards between two of West Asia’s most reliable teams of late. Carlos Queiroz’ side haven’t hit the heights of performance after a decent World Cup in which they managed a draw & two defeats, one a narrow one against eventual finalists Argentina. But they rely on a stable defence and have conceded no goals in the tournament so far. Their biggest attacking threat is Dejgah, who has created 9 chances so far for Team Melli, ahead of Teymourian. Nekounam will likely become Iran’s most capped player, but his tournament has been short of great so far by his standards. Whereas Iraq, led by Radhi Shneishel are still trying to find a perfect harmony. The performances have slowly improved match by match since the new manager has been in place, but it was a tough ask to make it far in this tournament, and a quarter final berth exit would definitely not be seen as a disaster. They are in a win-win situation, so the pressure will be on Iran who are favourites going into the match. With this being a tactical battle, I suspect a defensive lapse from either side will be the deciding factor, in form Sardar Azmoun will be one to look out for. While Iraq’s mis-firing front line will be looking to see if it can spring into life against a high quality defence. Mahmoud has been a shadow of his former self, and while he has set a new record of scoring in 4 consecutive Asian Cup finals, he will need to up his game if he is to have an impact in this game. It will be interesting to see if Shneishel opts to use Adnan in a Left Wing position again, as Dhurgham seems to have cemented the Left Back position as his own since his high quality performances in the friendly matches running up to the tournament. This game could well be the second to go to extra time and maybe even penalties. Don’t say we didn’t warn you if this one isn’t a classic!